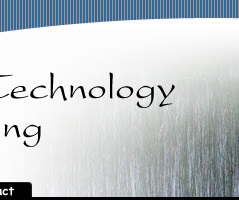 Osprey Technology Consulting got its informal start in 1993. While a student at Kenyon College, founder Edwin O'Malley provided technical support and web design services to the students, faculty, and administration as well as the surrounding community. We are now based in Ed’s hometown of Mantoloking, New Jersey, and primarily serve Ocean and Monmouth counties. We also have website design clients throughout the United States. In November 1999, Edwin joined with Jan O’Malley to form Osprey Technology Consulting LLC and expanded our service offerings. Our clients now include large and small companies, not-for-profit organizations, municipalities, and many families and individuals. Jan has over twenty years experience in software, hardware and network architecture, software development, and quality assurance. In addition, she has comprehensive software engineering experience including Service Oriented Architectures and web services in load balanced, clustered and distributed n-tier architectures.